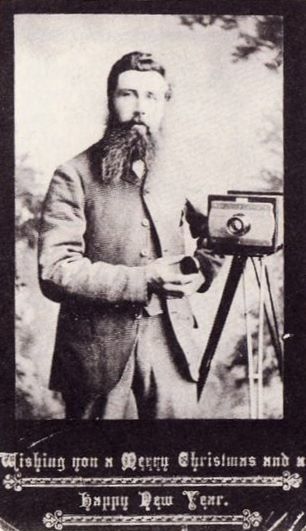 A photograph of the famous Postie Lawson, "wearing his other cap" as a photographer. This photograph appeared on Christmas cards that Andrew Lawson produced, presumably for his customers and friends. See also image 980.